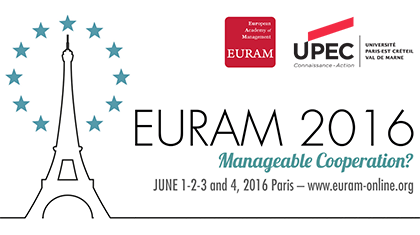 Home / Posts tagged "public policies"
EURAM 2016 Fab lab, coworking space, start-up accelerator… New spaces of cooperation? Présentation de Raphael Suire (Université de Rennes) sur l’évaluation de la performance des fablabs (à partir d’une base de 80 fablabs européens), suivie d’une séance de questions et d’un temps de discussion. Academics in the area of management are often invited to draw managerial implications about their research. This is often part of a section called “managerial implications” or “implications for practice” (in scientific journals). Most of the time, this results in extremely expected and unsurprising things. Beyond that, I have always found strange to put myself in the shoes of a manager… who will never read my article. Research about work and workplace transformations could be a unique opportunity to make a key managerial contribution: rethinking management teaching. What is the focus of most teachings today? I would say structures, tools, techniques, procedures and projects.